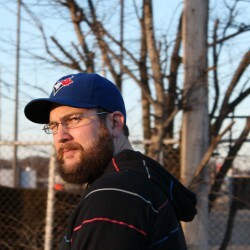 Harper Curtis is a dirt bag. Stumbling through a pretty meager existence, Harper comes across a house that can take him through time and surprise, surprise; he enjoys his trips to the future. As with all things that can be considered “too good too be true”, there is a catch. If Harper wants to continue his journeys, he has to snuff out The Shining Girls - women in the coming years that burn with potential. It isn't until one of his victims survives that things begin to fall apart for Harper. A time traveling serial killer based out of Chicago during depression era America? Sign me up! I had high hopes for this one so why didn't I love it quite as much as everyone else? I thought long and hard before writing this review and I think it basically comes down to time travel fiction in general. It’s a tricky genre to write and it often leaves the reader with a good number of questions after the book is closed. Some may say that its doing it’s job, engaging readers to the point where discussion is necessary to work out all the wibbly-wobbly-timey-wimey stuff. 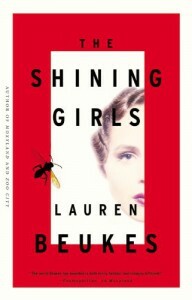 I’d be a hypocrite if I said I didn't prefer books that made me think but I also prefer being satisfied when all is said and done - I didn't quite have that feeling at the end of Beukes’ Shining Girls. I've never been secretive about my appreciation of linear storytelling. I generally prefer to have someone tell me a story with a natural timeline progression from start to finish. That isn't to say that I've hated every story where the author has made choices to jump from one particular point and time backwards to another, uncovering events when the story calls for it; I just find it difficult to keep my head in the game. It often feels like scatterbrained activity to me - “oh wait, I forgot to tell you about this.” More often than not, an author or filmmaker can use this with great success. I’m not throwing blame at Beukes as I knew what I was getting into before I picked up the book, I just had a difficult time keeping track of where I was with so many new characters and changing perspectives. I want to explore more of what Beukes has written as I did enjoy her style. Maybe The Shining Girls just wasn't for me.